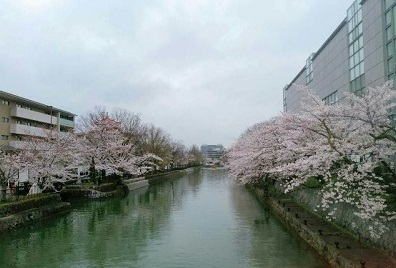 Now the cherry blossoms are bloom in beautifully in Kyoto. As the narration of the film says, we tend to spend more time watching the mobile screen on our palm recently. 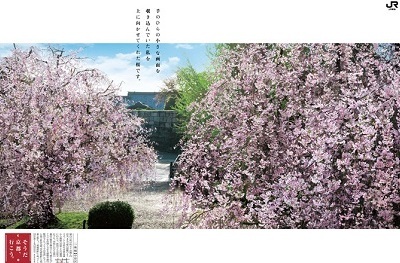 However, I realize that I’m keeping my face up more (to look cherry blossoms) during this season of the year. 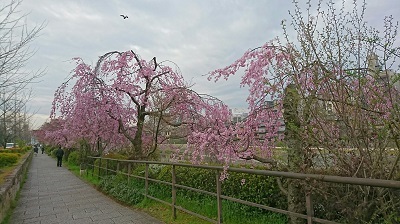 There are some spots where you can see the cherries already in full bloom, but the ones in Maruyama-Park are reported still half in bloom. 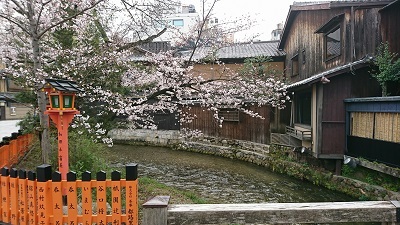 We hope you will come to enjoy more beautiful Kyoto with cherry blossoms.